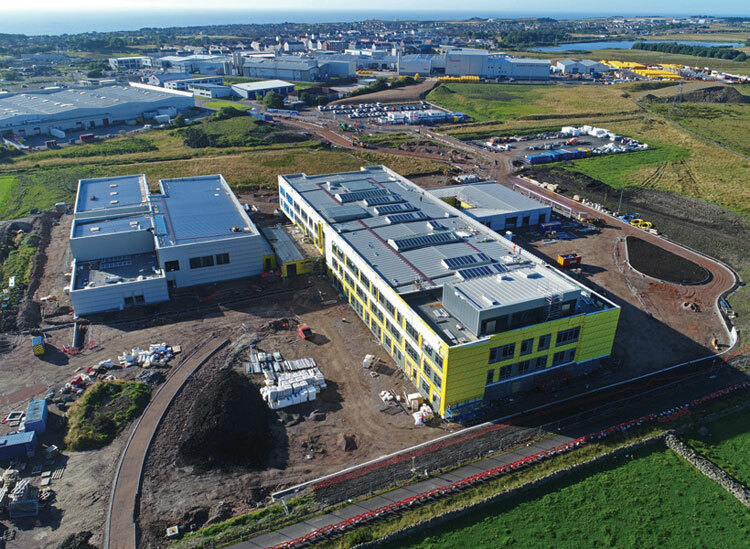 The construction of a new £44 million contemporary secondary school in Aberdeen will incorporate the superior airtightness performance qualities of the Frametite air barrier system from the A. Proctor Group. 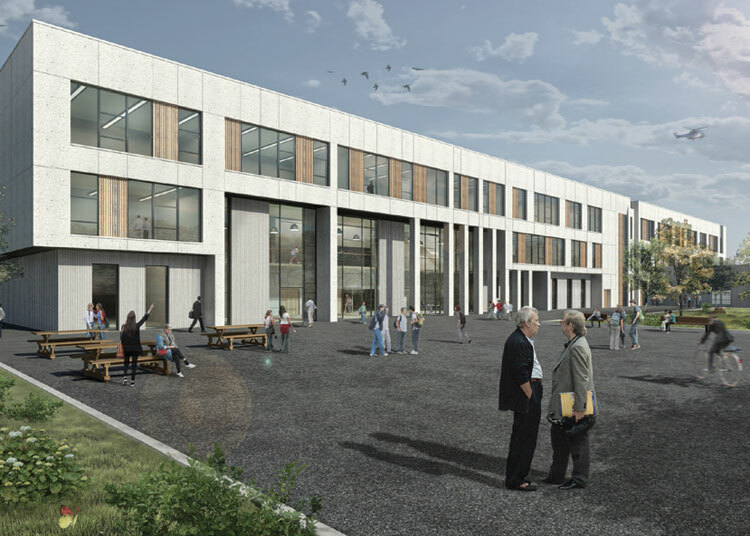 Designed by JM Architects Ltd, ‘Lochside Academy’ will provide impressive educational facilities for 1,350 pupils in the south of Aberdeen. 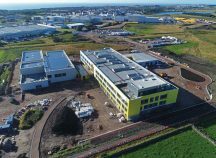 The school will feature a three-storey teaching block with rooftop art studio, a sports block with 25m swimming pool and a single storey wing available for a variety of uses. 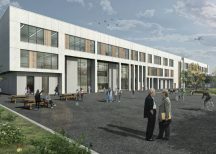 The project will be delivered as part of the hub initiative between Aberdeen City Council and hub North Scotland and is due to be completed by June 2018. 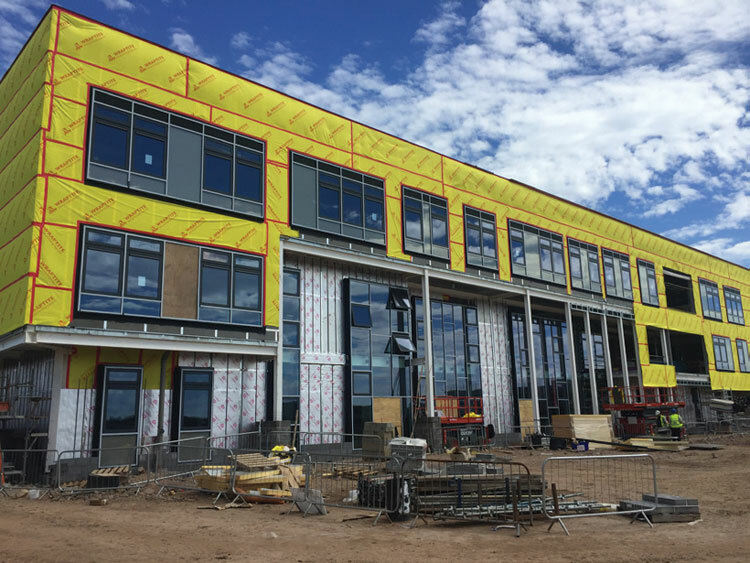 Main contractor Balfour Beatty required a high-quality air tightness membrane and in conjunction with sub-contractor A & E Construction Falkirk chose the Frametite System as an external air barrier as opposed to an internal air barrier system. The Frametite System comprises Frametite, a low-resistance vapour permeable air barrier for walls plus Wraptite Tape. 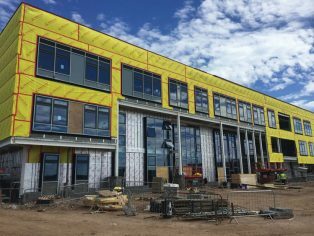 This approach saves on both the labour and material costs associated with achieving the demands of energy efficiency in buildings. Unlike internal air barriers, which can be complex and costly to install due to the need to accommodate building services such as electrical, lighting, heating and drainage systems, positioning an air barrier on the outside of the building simplifies the process of maintaining the envelope’s integrity, as there are less building services and structural penetrations to be sealed.